Super Moves Super Foods is a 10-week group based program specifically designed for children with Autism Spectrum Disorder and /or hypermobility. ‘Super Moves’ is a movement program aimed at safe and effective activity to improve the function and physical needs of kids diagnosed with ASD and hypermobility. ‘Super Foods’ is a nutrition program which helps parents and carers to understand the impact of food choice on children’s mood, behaviour and task-focus. Super Moves Super Foods will get your kids moving whilst the carers /parents are learning. The children will be coached by an Exercise Physiologist and the parents will be guided by a Nutritionist and Food Scientist. Contact heidi@bodydynamics.com.au for further information, secure your spot or discuss funding options through NDIS/Private health insurance. Body Dynamics Illawarra kids programs include Muscle Up! and Functional Sports Pilates. We believe that to get the most out of our kids we have to have fun whilst working on the specific goals of each program. Kids will not do it because Mum or Dad said to, they will do it because they have fun, feel comfortable but also challenged in the right way. 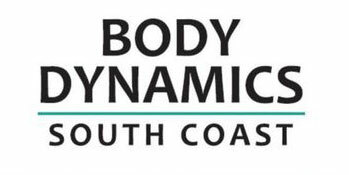 Body Dynamics Illawarra’s Muscle Up! programs are designed to get kids healthy, fit and strong. Muscle Up! focuses on aspects such as dynamic posture, co-ordination tasks and general strength needed to do kid stuff! As the program is run by our experienced Exercise Physiologists we are able to modify the program to meet the needs of each kid in the class. specific sport needs and provide corrective exercises to minimise injury or rehab those niggles that might pop up when growing kids play sport. BoDI has designed a fun and engaging program that will have the kids coming back. Designed with the help of kids for kids, why don’t you come an check it out. 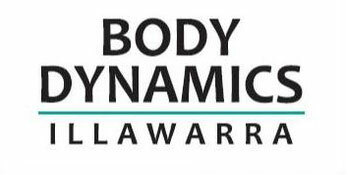 Body Dynamics Illawarra’s Sports Readiness Program is our kids sports program. It is designed for kids who playing sport of all levels and who have experienced niggley musculoskeletal injuries or wish to improve their preparation for sport . This program has come about after testing many sporty teenagers over the years who all lacked joint stability throughout the body. All of this kids had reoccurring aches and pains, or more serious musculoskeletal injuries which were hampering their performance. In a high impact and/or contact sport these ‘niggles’ are the things that lead to bigger injuries and ultimately to ‘retirement’. Our program works on developing the participants ability to stabilise their body through dynamics movements. It complements their existing training in that it is non-impact and can address rehabilitation needs.